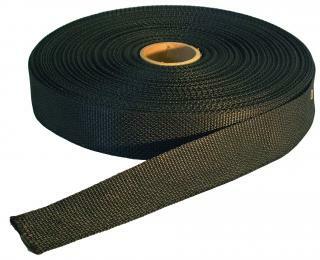 1 1/2" black Web Belting comes in 150' (50 yard) rolls. This woven polypropylene web belting is a simple, inexpensive means of securing road tube. Cut off a 4" length of the 1 1/2" wide belt. Fold over tube and drive nail into pavement close and tight to tube.